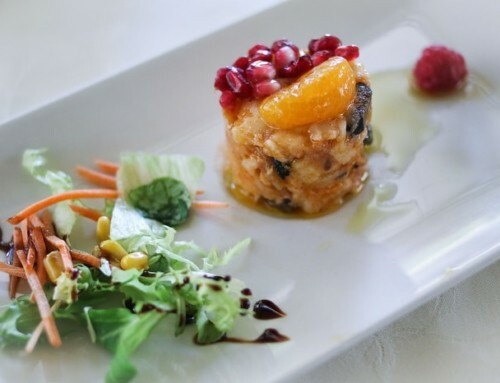 Tapas Tour through Granada's traditional neighborhood "El Realejo"
We are going to enjoy the gastronomy of Granada through one of the most idiosyncratic neighborhoods of the city while we learn about its history and enjoy the spring sun of the winter. Yehuda Ben Saul Ibn Tibbon was a Jewish poet, doctor, philosopher and translator who lived in 12th century Granada. He is the patron of the translators and his statue serves as an entrance to the Realejo: with one hand in his heart and the other raised, it seems to call your attention so that you follow him and go with him in his neighborhood. This is a place of narrow streets, nooks and pedestrian areas where walking is a pleasure and driving, an annoyance. So it’s better to leave your car on the Carretera de la Sierra or in some area near the Genil river and discover the Realejo on foot because there is no better way. 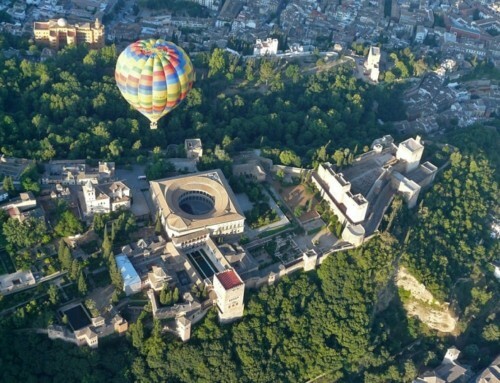 It is one of the most traditional neighborhoods of Granada where you will meet tourists, students, new neighbors and women who were born there when this part of the city was a garden. You will also find many tapas bars. Look where you look, you will always see one. Or two. 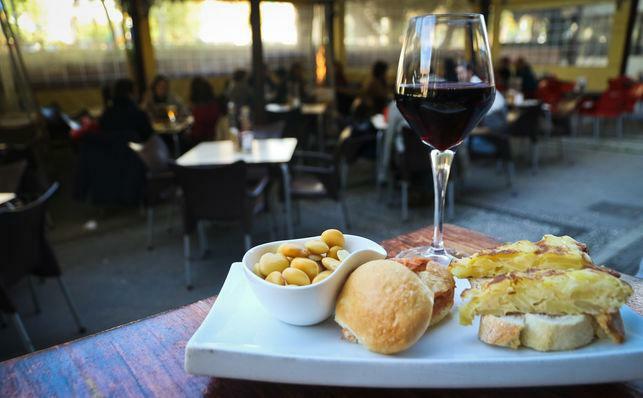 That’s why you can always make your own tapas tour through El Realejo in Granada. And that’s why it’s so easy to go around the area: you’ll hardly have to move. La Brujidera (Monjas del Carmen, 2), to the back of the statue of Ibn Tibbón, is a good place to start this gastronomic tour. Up to 200 references of wines from all over the country and rich vermouths give energy in this house of wines to start a tasty walk. Next to the sculpture Pavaneras street starts, which a few meters later changes its name to become Santa Escolastica street. There is La Casa de los Tiros, the first building of Christian nobles in this old suburb of Granada after the expulsion of the Jews. A little further on, number 9 hosts the Candela bar, a classic from Realejo. It opened in 1994, being one of the first in the area to do so, betting on a different neighborhood at that time. Between two magnificent graffiti of El niño de las pinturas – another of the cicerones of the neighborhood – this establishment is today a meeting point for neighborhood residents, professors from nearby schools or anyone who wants to feel at home. Students also arrive and a clueless tourist here or there who is surprised by the space, as happened to Oscar Isaac, who made a photo session there before interpreting the rebel Poe Dameron in the Star Wars movie. Posters of Corpus festivals, music by Kiko Veneno or Los Planetas, good atmosphere at all hours and a rich menu composed of sandwiches, bocatas and whole toasts are the basis of Candela. It is worth trying the veal with pate in Oporto, the ham with artichokes and cheese or any other proposal that you feel like. If you decide not to move much, two steps from Candela is one of the best places to enjoy a good wine in the Realejo, the Jaraiz bar (Sacristía de Santa Escolástica street). 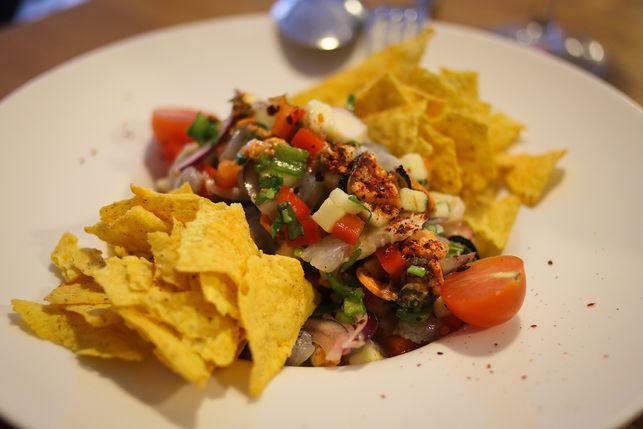 Three steps away is the Potemkin, with a sunny terrace in the Placeta del Hospicio Viejo where they serve excellent tapas and on Wednesdays and Saturday nights they have delicious sushi. Four steps away is the Damasqueros restaurant (Damasqueros Street, 3) and five steps way is the Damasqueros bar (Cuesta del Realejo, 3), both with the same name but very different cuisine. Finally, six steps away is El Jergón (Cuesta del Realejo, 10), a small and peculiar cave where flamenco sounds at all hours. Their tapas are vegetarian and, most of them, spooned, like some migas with pomegranates or a chard with chickpeas, that help to fight the cold of the city. You might also enjoy craft beer from Cordoba Bandolera del Sur, which they will gladly serve you in El Jergón. The Campo del Príncipe square is just 50 meters away. 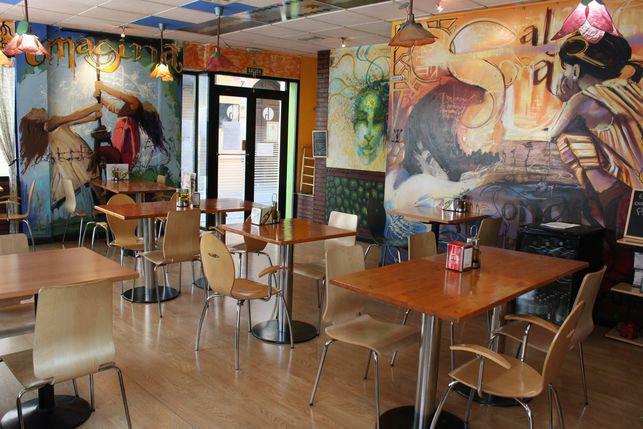 Spacious, sunny and with a wonderful concentration of tapas bars that you may never leave. This space is an old Muslim cemetery that the Jews later used as a public square and, as early as 1497, hosted the wedding of one of the sons of the Catholic Kings, John, with Margaret of Austria. Under old buildings, small houses, the imposing figure of the Alhambra Palace hotel and the kitsch aesthetic of the hostel La Ninfa, there are swings, trees and benches to sit on in the winter sun; but also a statue of the man popularly known as Cristo de los Favores. There, every Good Friday at three in the afternoon you have permission to ask for three favors, although perhaps at that time you’ll prefer to be in Los Altramuces, one of the best-known bars in the area. And where great tapas and classics like patatas bravas, salmorejo, a loin with garlic or snails compete for your stomach with a quail dish or a serving of fried birds. 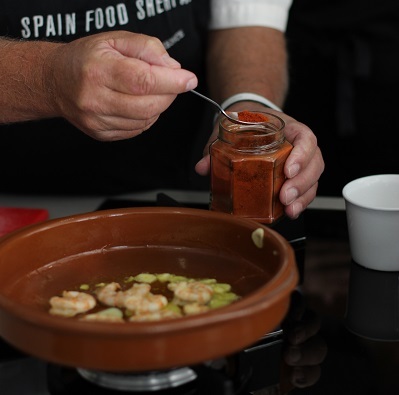 On both sides there are more options of a similar nature: like La Esquinita, Las Niñas or Faquilla, an old flamenco temple where, why not, go for an Alpujarra dish. Just a few steps away and in the Campo del Príncipe itself, the gastronomic variety is extended from the tavern La Opípara, which mixes French and Andalusian cuisine and offers a delicious cordobés bulltail to Trasgu, an Asturian where you can have cured meat croquettes , beef or scorpion fish pie. They also serve vegetarian dishes. Parallel to the Campo del Príncipe passes the Molinos street, a long road that still maintains the true idiosyncrasies of Realejo. Old groceries and old bars are mixed here with new bike shops and spaces such as the Evohé wine bar. A walk along Molinos Street should be done calmly, talking to each other, asking and enjoying a part of the city that is less than 10 minutes from downtown and that seems to be 20 years away. 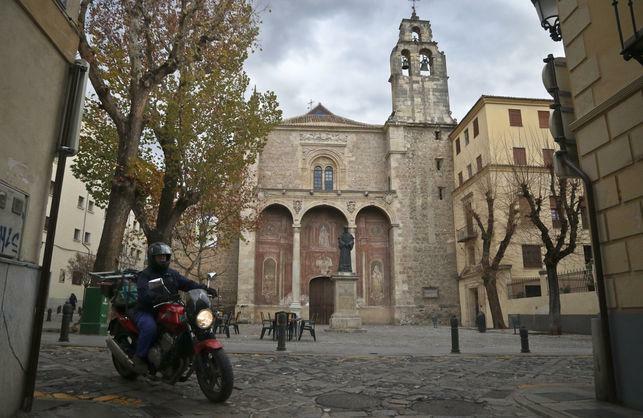 Also nearby is the beautiful Plaza de Santo Domingo, starring a statue of the saint and a church with his name. The surrounding streets allow you to discover unusual places of great interest such as the Royal Quarter of Santo Domingo: located on the slope of Aixa, it was the place of retreat and rest of the queen Fatima, mother of the last King of Granada, Boabdil. Of the original building -which Isabella the Catholic later acquired- there remains only the marvelous Qubba, an ancient protocol hall converted today into a splendid architectural jewel of Muslim culture. 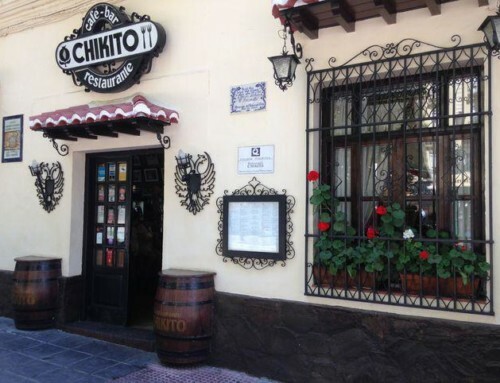 With the background image of the white Sierra Nevada, a walk along the promenades of the Salón or the Bomba will make your stomach again ask for a continuation along the gastronomic route through the Realejo. 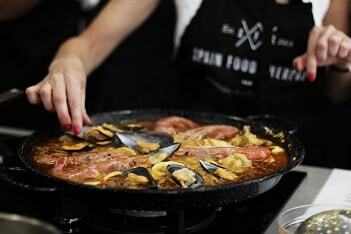 A good place to continue is Papaúpa (Calle Molinos, 16), where they mix Andalusian and Latin American cuisine. The ratatouille is the star of the house, but you can also venture into exotic delicacies such as a fried yucca or the appetizing Venezuelan hallacas. Another option is the Hicuri (Santa Escolástica street corner with Plaza los Girones), vegan restaurant where you can try the wonders of this cuisine ranging from smoothies to vegetable lasagna through salmorejo with avocado and a delicious carrot cake. In addition, it has a spectacular interior decorated with murals of, once again, El niño de las pinturas, which in the Realejo seems to feel at home. Nearby is the Picoteca 3 Maneras (Santa Escolástica Street, 19), a different place in the neighborhood that has just completed its first year of life with a remarkable success. Luminous and white, its room is composed of just six small tables and a huge one to share with whoever appears. 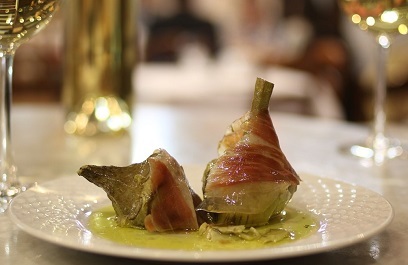 Rich tapas of creative cuisine such as the dogfish with cream or the tempura cod with romesco sauce can be accompanied by Granada wines such as Señorío de Nevada or Spira. The head chef is Antonio Rojas, who, in addition to cooking, is in charge of the business and has also designed the place and the menu. “The place is called ‘3Maneras’ for our three different ways of eating: with our hands, with cutlery and chopsticks”, explains Rojas, who has developed a section of international dishes versioned in his own way, such as octopus ceviche, prawns, mussels and nachos or the so-called japo-andalusian fry with prawns and coconut, octopus in tempura and sweet cod. They are samples of that cuisine without ties that is served in this picoteca, where they feel proud of dishes like the cachopo of hake stuffed with salmon and cheddar with seafood sauce and mussels or the tataki of veal with japo touch. Never forget to ask what isn’t on the menu, since in the kitchen they are always looking for new dishes and investigating flavors. 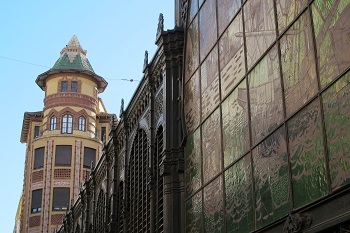 Six houses away, at 13, is Casa Diego, a rejuvenated grocery store that opened in 1927 where you can find some of the products you’ve tried on the tapas route and, also, the best of Granada. 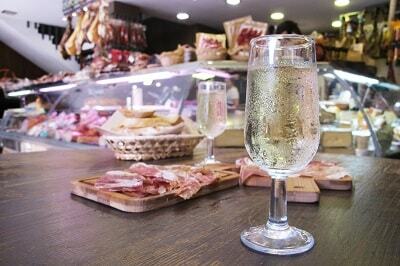 From hams from Trevélez to craft beers, and traditional Granada wines such as Mala Follá or Ni pollas, a rich sparkling wine from the Contraviesa de Granada. From the door of Casa Diego you can see Ibn Tibbon again, who always keeps his hand on his heart and his arm held high. 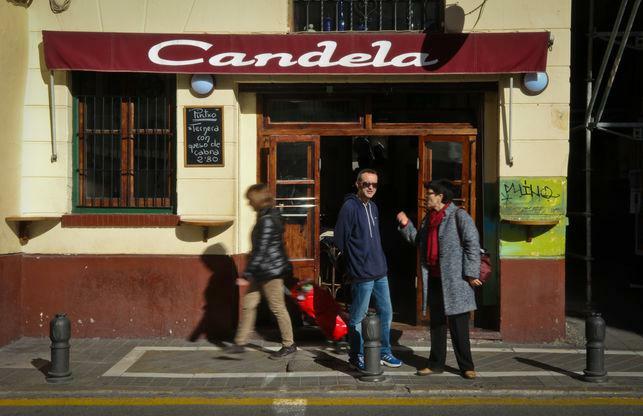 They say that whoever touches his heel returns safely to Granada, but after the tapas route through the Realejo, you probably do not even need it: you will return for more. Do not hesitate to. 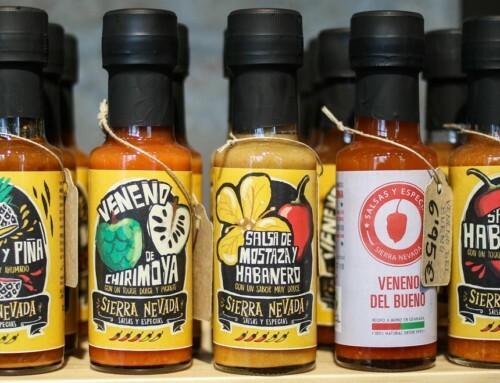 And while you are in Granada, don’t forget to join us on a Taste of Granada Food Tour to see and eat more than just what you see in the brochures.